Slots-Casino.co.uk offers links to online games and casinos. Games embedded on the site are provided by third parties. Slots-Casino.co.uk is not an online casino. Playing those games and using the information provided on this site is at your own risk. Slots-Casino.co.uk cannot be held responsible for any damages from the use of our website. Gambling can NOT provide an escape from personal, professional or educational problems such as loneliness or depression. Gambling can NOT be a solution to financial concerns, an alternative to employment or a way to achieve financial security. I’ve heard that there are site visitors who are afraid that Slots-Casino.co.uk is only about making money for the owner, and that the site tricks people to start playing at online casinos. I do understand that some visitors might think that way, because there are other websites and weblogs out there that use those tactics. Regular visitors of Slots-Casino.co.uk will be able to reassure you that this site is not just about making money. I started Slots-Casino.co.uk to help casino players find the best casinos to play the best video slots and casino games, and that is still my aim. 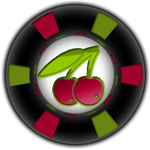 I do earn some money with the website, but running Slots-Casino.co.uk also costs me money –like webhosting costs– and it costs me a lot of time to play a video slot before I write a review about it. You can read the full advertising disclosure here.